A typical leather upholstery installation can easily be completed in a weekend. Scroll to the bottom of the page for a step by step video installation on various late model vehicles including a Ford F150, Honda Pilot and Ford Mustang Coupe pickup performed by the television show Motorz. All late model vehicles are similar. It is recommended that you have a clean place set aside with enough room to work around your seats comfortably. A work bench or living room floor works well. You will want to have basic hand tools available, including a pair of side cutters and pliers, olfa or similar razor knife, a basic socket set and a screw driver set. Please note that not all models require the use of hog rings on installation and most newer models have moved to a combination of press in clips and velcro. If you are unsure, please email our sales department. GM full size trucks and SUV's as well as all 2015 and newer Ford F150 and 2017 and newer Superduty full size trucks use a combination of velcro and plastic lock strips for quick and easy installation. Tip: Hog rings are little metal loops which you squeeze closed to fasten the seat covers to the seat body. They are long lasting and easy to work with. Our basic installation kit (available for purchase separately) includes a quality set of hog ring pliers and a large bag of hog rings. Most installations will require removal of at least some of the seats from the vehicle. Each seat assembly is commonly fastened by four to eight standard or hex head bolts. Many newer models will have a series of wires running to the underside of the seat assembly which supply the power seat, heat and airbag features. These wires will have quick disconnect fasteners and will need to be unplugged prior to removal of the assembly. Tip: Lay a blanket or towel over your sill plate before removal of the seat assemblies to avoid scratching your sill with the seat track or related components. A second set of hands is recommended for bench style full row seats. Note: Always disconnect your battery when working on any airbag related wiring which will be housed in bright yellow plastic loom. You will need to remove any hardware from the seats which will stop you from replacing the existing covers. Take care with any plastic components and keep an eye out for hidden clips. A set of inexpensive nylon, non marring pry tools comes in very handy. Tape should be used to shield plastics from metal tools. Removal of the existing covers will require you to access the underside. Most original equipment covers are held in place with a series of plastic clips, zippers, Velcro or hog rings. Pay careful attention when removing your existing covers and note the order so you can repeat the steps in reverse when installing your new premium Katzkin covers. The replacement upholstery is fastened just as the original equipment upholstery so installation will be a general step by step reversal of the removal procedure. When installing your replacement covers, use patience and pay careful attention to line up the body lines of the new covers with the lines on the seat assemblies themselves. A little extra time in this part of the installation really pays off with a clean and professional looking end result. Tip: Take care when installing your new covers to avoid marking them with any sharp tools or rubbing them against any objects that could damage the finish. Do not place screwdrivers or other sharp tools on the finished seats. 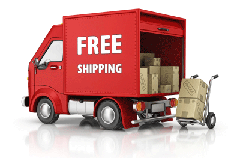 Free Shipping*, No Fees, No Stress and our Lowest Price Policy. We will ship your custom Katzkin leather interior to Canada and the continental USA for free.